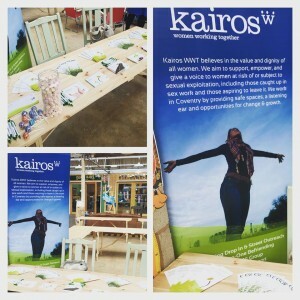 Kairos attended the University of Warwick Festival of Social Sciences on May 9th 2015. The theme was ‘Is Coventry a sustainable city?’ Alongside Kairos were some other fantastic support providers such as CRASAC, Coventry Haven and The Coventry Comfort Carers. It was a fantastic opportunity for the people of Coventry to see what kind of support there is out there and we extend our warmest thanks to Charlotte Lewis from Warwick University for giving us the opportunity to participate in this great event.